In the USA, Thanksgiving marks the beginning of the Christmas season and one of the busiest shopping periods of the year. “Shopping madness” begins on Black Friday, the day after Thanksgiving. On this day, major retailers offer discounts and promotional sales. Cyber Monday was introduced in 2005 as a counterpart to Black Friday to encourage people to shop online. 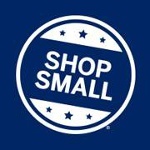 Finally, Small Business Saturday was created in 2010 to encourage shoppers to support small and local businesses. The holiday was conceived and promoted by the American Express Company and is a registered trademark. The initiative was publicized via a nationwide advertising campaign that used radio, television, and social media. People are encouraged to promote small businesses on any Saturday using the Twitter hashtag #SmallBusinessSaturday in a manner similar to #ThrowbackThursday or #FollowFriday. After the success of Small Business Saturday in the USA, a similar campaign was launched in the United Kingdom. However, the date of Small Business Saturday UK is not tied to Thanksgiving.